Pressure canning can seem intimidating when you are just learning how to preserve food. You’ve probably seen scary canning disasters on the internet or heard old granny tales of canners exploding in the kitchen. Today’s pressure canners are much safer than the canners our grandmothers used prior to 1980. With the scientifically tested recipes that we have at our disposal, the risk of botulism from home canned food is minimal, too. Follow these tips and you’ll be well on your way to confidently pressure canning in your kitchen. 1. Your canner won’t blow up. Pressure canners manufactured since 1980 are safe when used correctly. Modern canners are equipped with a pressure fuse. If the pressure inside the canner grows to a dangerous level, the pressure fuse will blow off the canner. This releases that pressure inside the canner, preventing a disaster. Modern canners won’t blow up. 2. Low acid foods must be canned in a pressure canner to be free of botulism risk. 3. Low acid fruit including tomatoes can be acidified. Add 2 tablespoons of lemon juice, ½ a teaspoon of citric acid, or ¼ cup of vinegar per quart jar. 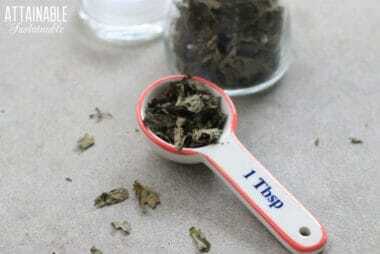 Use the pressure canning method for tomato recipes that are lower acid. 4. 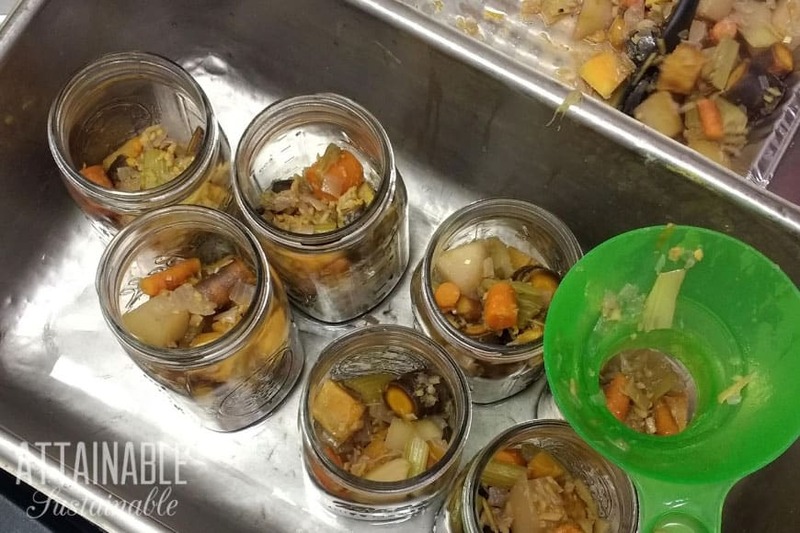 Vegetables other than tomatoes must be pickled to be safe for water bath canning. 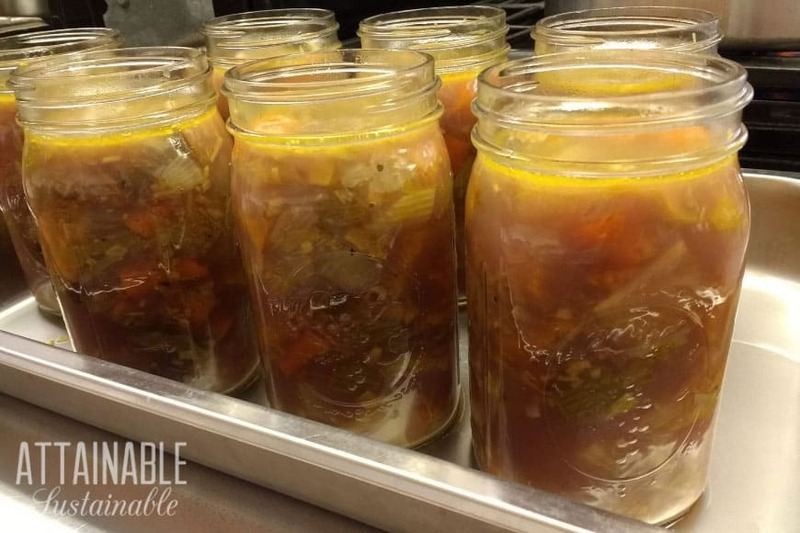 If you wish to preserve vegetables without pickling, pressure canning is the method you’ll need to use. For pickling, follow recipes developed after 1994 by a reputable test kitchen. Prior to 1994, home canning recipes did not reliably account for botulism risks in pickled vegetables. 5. All low acid food should be processed at 240°F to 250°F. A pressure canner at 10 to 15 lbs. pressure is the only reliable way of attaining a consistent temperature to kill botulism spores. The time varies with the type of food, from 15 minutes to 100 minutes. The way the food is packed into jars and the size of jars used also changes the amount of time the jars need to be processed. The safest practice is to use canning recipes developed after 1994 from a Ball Blue Book® or from government test kitchens. These recipes have been scientifically tested to control bacterial growth. 6. Pressure doesn’t destroy micro-organisms. 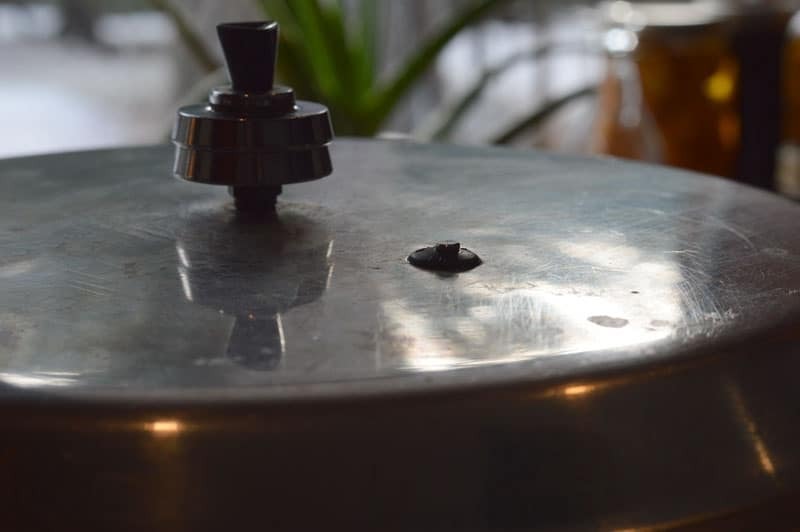 It’s the higher temperature that the pressure allows the canner to obtain that destroys the organisms, and higher pressure increases the temperature. 7. 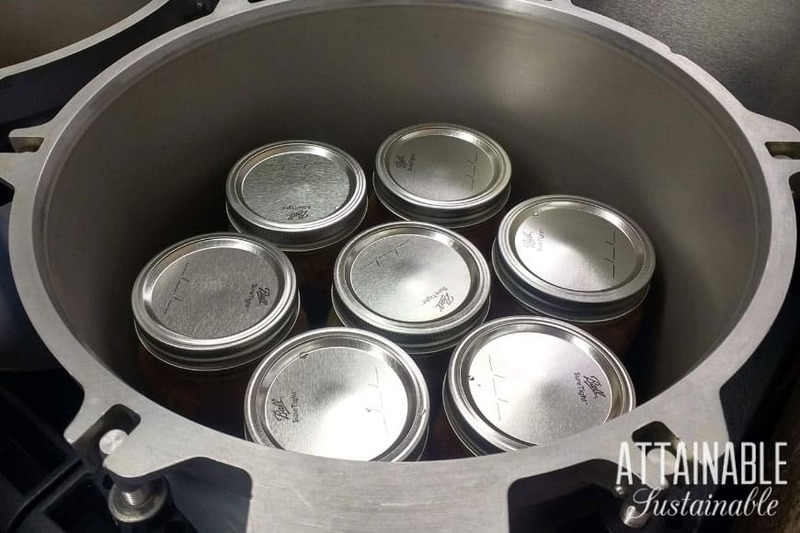 Higher altitude canning requires more pressure, because water boils at a lower temperature at higher altitudes. 8. There are two kinds of pressure canners on the market. Weighted gauge canners and dial gauge canners maintain the pressure and temperature differently. Weighted gauge canners exhaust a tiny amount of air and steam each time the rocker jiggles. They maintain the temperature exactly. They do not need to be tested to see if the 5 lbs gauge is actually maintaining 5 pounds of pressure inside the canner. If the rocker is jiggling the pressure inside the canner is maintained. However, weighted gauge canners can’t compensate for changes in elevation. Therefore at altitudes over 1,000 feet the pressure needs to be increased, by using 10 pounds of pressure when the recipe calls for 5 pounds, or by using 15 pounds of pressure when the recipe calls for 10 pounds. With weighted gauge canners you choose your weight based on your altitude. Photo courtesy of Kathie Lapcevic at Homespun Seasonal Living. Dial gauge pressure canners must be checked for accuracy annually. This can be done at your county extension office if you live in the USA. If the gauge reading is inaccurate by more than 2 pounds it should be replaced. Canning with a faulty gauge will result in unpredictable canning results, and increase your risk of food borne illness. 9. Older pressure canner models require a light coating of vegetable oils on the gasket at least once a year. Newer model pressure canners are pre-lubricated and do not require additional oil. 10. Canners made prior to 1970 may be safe to use. They should be checked for accuracy by your local extension office, to ensure that the pressure gauge is working properly. Your extension office will also check the canner for warping, which may prevent a proper seal from forming. 11. Both dial gauge and weighted gauge pressure canners are equipped with a safety fuse, to prevent overheating and excess pressure. 12. The lid of dial gauge canners should not be immersed in water. There is some risk of water getting into the gauge and causing rust, if the gauge is immersed. Weighted gauge canner lids can be thoroughly immersed and cleaned in water. 13. Some stove top surfaces are inappropriate for pressure canning. Newer Presto and Mirro brand pressure canners are not designed to be used over the high BTUs of propane burners. The high heat can warp the bottom of the canner. Glass and ceramic stove tops are not made for the weight and high heat of the pressure canner. The stove top can be damaged. Use them only on solid fuel stoves, electric ranges with coil burners, or gas ranges. 14. Air trapped in the canner lowers the internal temperature of the canner. This causes under processing and increases botulism risk. Always vent the pressure canner for 10 minutes before pressurizing it. 15. 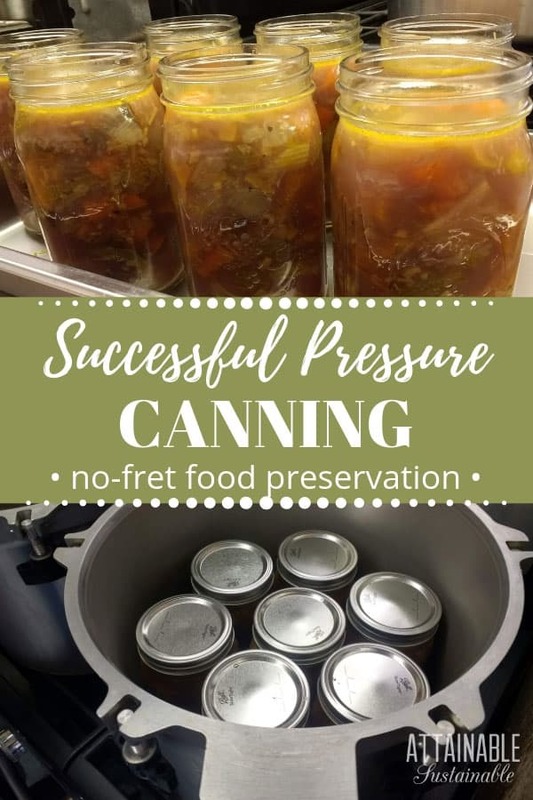 Don’t begin to time the processing time until the canner reaches the appropriate pressure for the food you are canning. If at any time the pressure in the canner drops below the appropriate pressure, increase the heat to bring your canner back up to pressure. Then begin timing the processing again. You will need to process for the full processing time in order to ensure a safely canned product. When processing food in a pressure canner, follow the manufacturer’s instructions for your pressure canner. If you purchase a used pressure canner and didn’t get an instruction manual, one of these might help. Older owner’s manuals can sometimes be ordered from these companies as well. You can order older manuals from the Presto Company at no charge, through their online store. You will need to know the model number of your canner. 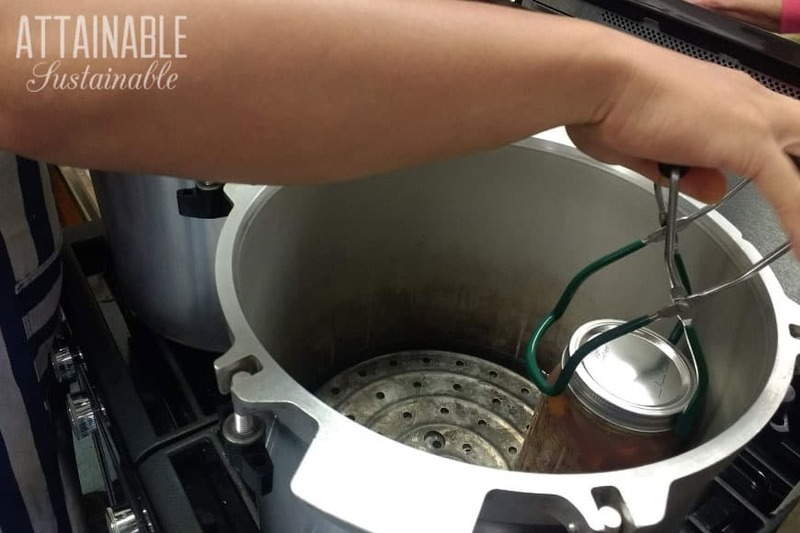 While the first few times you use a pressure canner can seem complicated and intimidating, the process is straight forward. Canners made since 1970 are equipped with safety fuses to prevent over pressurizing, so the fears of exploding canners are needless. 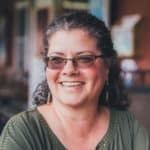 If you are still unsure and don’t know where to begin, taking a class or finding a mentor can help you feel more comfortable with pressure canning. How/where do you get the gauge checked in Canada? Nancy, as far as I know there is no place in Canada that will test the dial gauges for accuracy. This is the main draw back for using the dial gauge canners in Canada. 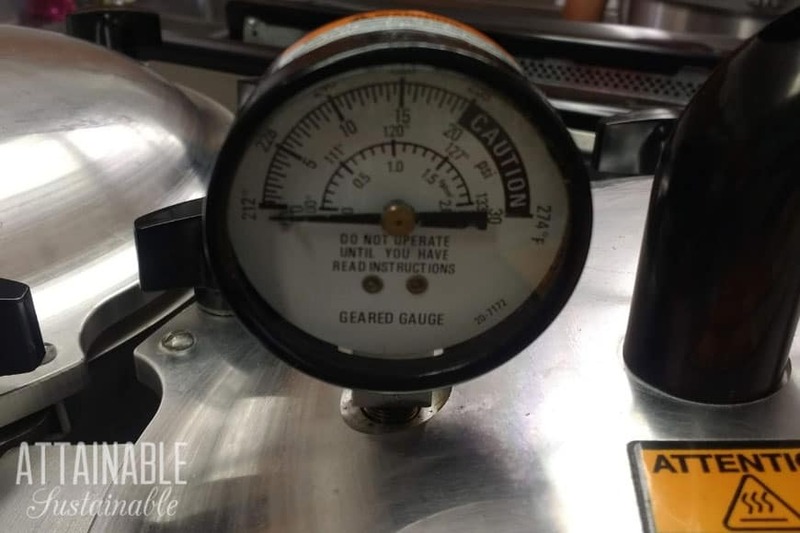 The weighted gauges do not have to checked for accuracy though, because if the canner is up to pressure the rocker will rock, if it isn’t up to pressure the rocker won’t rock. As long as the rocker has the correct number of weights for your recipe and the rocker is rocking, you are safe to process for the required time on your recipe. Nancy, you might try a hardware, plumbing or welding supply store. The dial gauges on pressure canners are just like those used in industry and suppliers might offer safety testing. If you live near the US border, you might find an American university extension service within reach. Unlike major universities, the extension service network has offices in small towns coast to coast. All extension service offices that I’ve visited offered free pressure canner testing to the public. However, Chris is right. If the weight is correct and rocker’s rockin’, things are working properly. Thanks, Chris! Good info! Just got a new All American 6 qt. and wanting to can some chicken broth and veggies from our garden. why does the juice cooks out of the jars? Thanks for this information. This year will be my first to have a larger garden and to can. what is a local extension office?If I ask anyone in UK about pressure canning they look at me like I’ve got 2 heads! It’s a resource affiliated with American Universities. Not sure if there’s anything similar in the UK. Just received my Presto 23 quart pressure canner. I have never used a pressure canner or cooker let alone seen one. I am terrified. I am also a visual, hands-on person who believes in taking a class to learn a new skill. I live about half an hour north of toronto, Ontario. I have tried everything I know to find someone, anyone who can spend a few hours with me (kijiji, senior’s centre, flyers in community centre, community gardens, cooking schools, grocery stores that offer cooking classes, food banks, Foodland Ontario. etc.netc. ) I have tried about a 100 km. radius. I you you are in B.C. but any ideas. 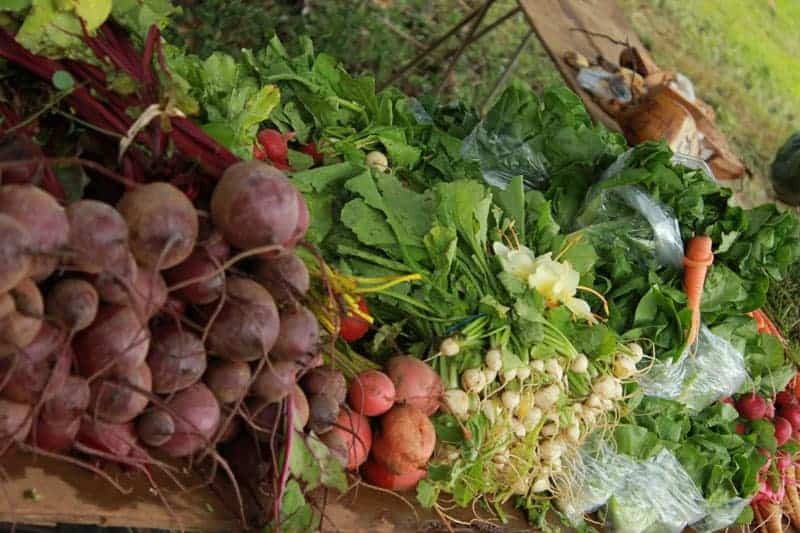 Do you have a university that might have a food preservation group to help? We have the cooperative extension in the USA. Florence, I live in Missouri & am also a hands-on-learner as well as a quilter. At guild meetings we often share recipes & canning advice with each other. Maybe you could check with a few quilt guilds to find an experienced canner you could learn from. Good luck. I really need help. I was told I could can my own salsa recipe as long as I pressure canned it. I didn’t need to add vinegar or lemon juice either. Is this true? 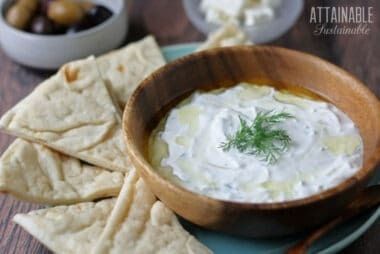 Can I use a pressure canner and avoid the acid issue? If so, how long do I pressure can for? Try contacting your cooperative extension office’s Master Canner program. The folks there will give you specific information! Radish Greens from the Garden: Transform them into Pesto!